as a little girl i used to organize my crayons & markers by color for fun. everyone did that right? and then when i achieved a driver's license i started shopping for fun and then organizing my closet by color. 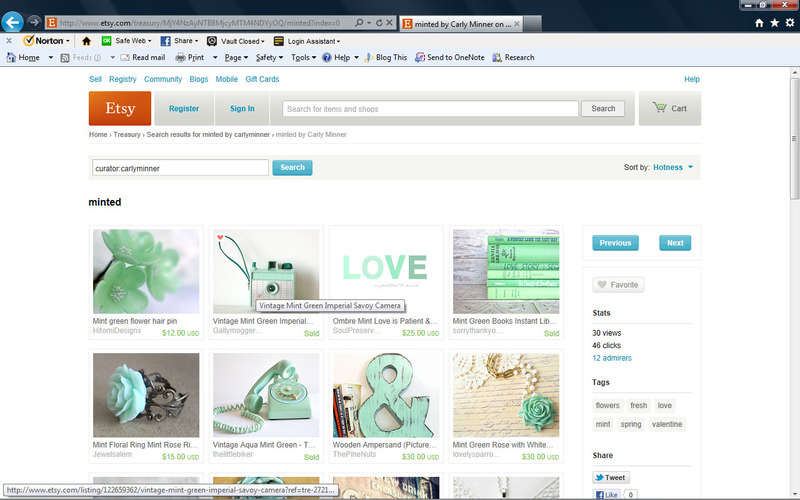 since joining the world of etsy in the fall i've found a another snappy new past time, creating etsy treasuries. in case you don't know, an etsy treasury is "an ever-changing, member curated gallery". 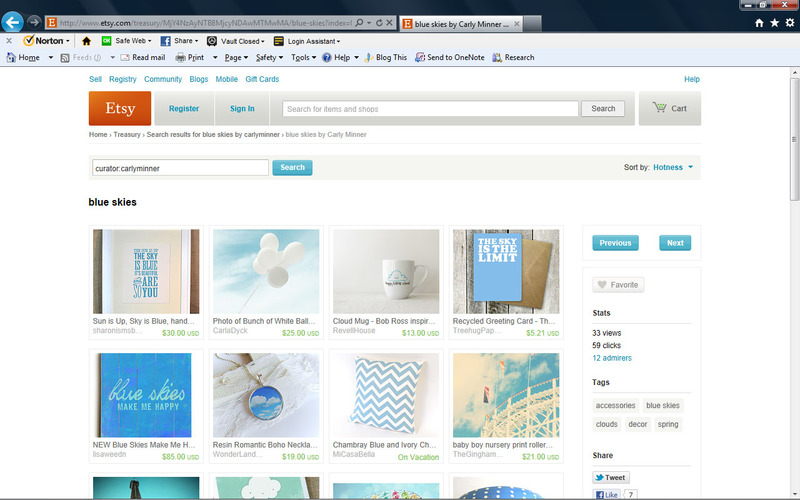 i think it's my love of color coordinating, organizing and SHOPPING that makes creating etsy treasuries so super cool! i can clearly see how this new hobby might get me into some trouble but i'm also finding some really spectacular stuff! So pretty...and it looks like it easily could turn into trouble! Etsy is a dangerous place for anyone who loves unique and handmade items! Your collections look gorgeous, the minted one makes my heart happy!